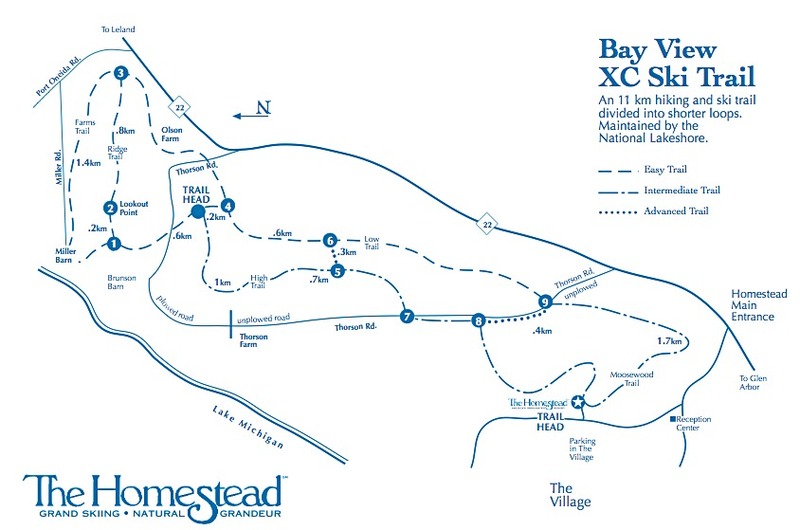 You can ski, hike, or snowshoe straight from The Homestead into the Sleeping Bear Dunes National Lakeshore using the Bay View Trail which is accessible from the Village. Lookout Point on the Bay View Trail gives a panoramic view of Lake Michigan and the surrounding countryside. The trail along the edge of the woods on top of the bluff overlooks fields of wildflowers and former farmland with Lake Michigan in the background.